Move over baseball, it's basketball season. Basketball is one of the most popular sports played in the U.S. The NBA, or National Basketball Association, is the pre-eminent men's professional basketball league in North America. It is widely considered to be the best basketball league in the world. The NBA was originally formed on June 6, 1946, as the Basketball Association of America, or BAA. At that time, there were two other established professional leagues in the U.S. The American Basketball League, ABL, and the National Basketball League, NBL. The BAA distinguished itself by being the first basketball league that attempted to host their games in large arenas in major cities. This made the BAA popular and fans and players from the NBL began switching leagues. After the inception of the BAA in 1946, the BAA and NBL battled against each other in an effort to gain fans and players for their respective leagues. On August 3, 1949 the two rivaling leagues merged and the NBA was born. Fast forward to the present. The NBA now has 30 teams who compete every year for the league championship. 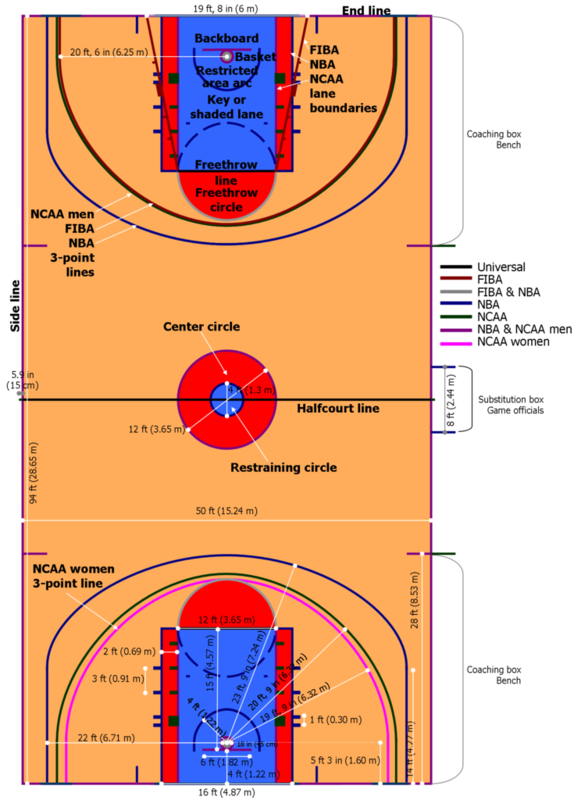 Here are some basics: Basketball is played by two teams of 5 on a rectangular court. The object of the game is to shoot a ball into a hoop mounted on a backboard in order to score points. Shots that are made from the hoop up to and touching the "three point line" count for 2 points. Shots that are made from beyond the three-point line count for 3 points. The ball can also be dunked into the basket for 2-points. 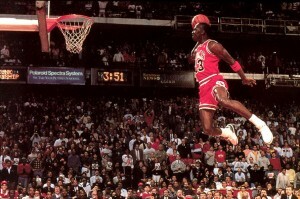 The person dunking in this photo is none other than Michael Jordan, widely considered to be the greatest basketball player in history (Sorry LeBron James fans). The ball is advanced up and down the court by bouncing the ball while walking/running or by throwing the ball to a teammate. This is called dribbling and passing. Infractions of the rules of the game are called violations and/or fouls. A personal foul is a violation of the rules concerning physical contact with an opponent. A detailed list of the types of fouls that can occur can be found here. If a defensive player fouls an offensive player with possession of the ball, the defensive player is penalized and the offensive player may be granted a "free throw". Free throws are uncontested shots from the "free throw line" that count for 1-point each. Players who repeatedly commit fouls may be disqualified from the game. 1) Point Guard: Typically the player with the best ball handling and passing skills. This player is very quick and can organize the offense efficiently. 2) Shooting Guard: Typically the player with the best shooting ability. This player has a similar skillset as the point guard but usually takes a higher volume of shots on the offensive. 3) Small Forward: The small forward is typically taller and stronger than the previous two mentioned positions. Players in this position are often very versatile and can score, pass, defend, and rebound. 4) Power Forward: The power forward plays a more physical offensive game and often has their back to the basket. Players in this position block shots while playing defense and try to rebound the ball. 5) Center: This player is usually the tallest and biggest player on the team. Players in this position use their height and size to score on offense and to protect the basket on defense. Although these are traditionally the five main positions in the NBA, today players are so well rounded that they are often a mixture of more than one position. So how does the NBA actually work and how does a team win the championship? It's pretty straightforward. There are 30 teams split into 2 conferences, the Eastern and the Western conference. Each team plays 82 games during the regular season. From the 15 teams in each conference, 8 teams with the best win-loss record advance to the playoffs. 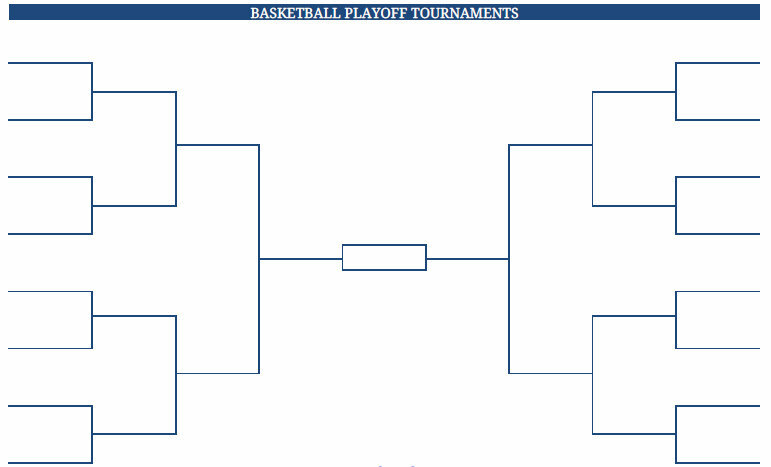 The 16 teams in total are then seeded in their respective conferences. 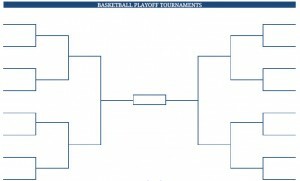 The team with the best record receives the number 1 seed, and the team with the worst record receives the number 8 seed. This pits the best and the worst teams from each conference against each other. Each stage of this tournament is a best of 7 series between two teams until only 1 team from the Eastern conference, and 1 team from the western conference remain. These two teams play a best of 7 series in the NBA Finals for the NBA championship. It might sound really complicated but its actually a lot of fun to watch and even more fun to play! Most gyms and public parks have basketball courts available for playing pick-up games. It's very common for people to invite each other or ask to join a pick-up game so if you ever feel like playing just ask! If you would like to attend a NBA game you can check this resource for discounted tickets: http://www.stubhub.com/ If your host city doesn't have a professional team, you could attend a game at a local college or university instead. Just don't try to get tickets during March Madness! Check your local television listings for NBA games, as they vary from city to city.